Looking to book a holiday for 6 adults and 6 children ages 8,8,8,4,5,2. We are not set on a particular resort but ideally ski in and out or short walk so we don’t need a lift to slopes. Limited on budget so not luxury but would like catered please. Looking to see how much this would be. Ideally including transfers and flights if possible from Scotland. Or we can book our own. We have 2 chalets in the Morzine which are perfect for group ski holiday. We are an independent, owner run chalet company located in Morzine, the largest village in the Porte du Soleil ski area with over 650km of pistes! Chalet La Pastorale - 5 bedrooms, 5 bathrooms and can sleep 10-12. Out door hot tub, sauna, Garage with table tennis and table football. Chalet Amber, 6 bedrooms, 6 bathrooms. Sleeps 12-14. Outdoor hot tub. Ski bus stop 10m from chalet. 3 course evening meal with complimentary wine throughout. If we have what you are looking for, please contact us on the details below. We have a couple of chalets to suit your group - which date are you actually after - 6th April? The best thing is to look at the website www.skihiver.co.uk and email if it is of interest. Prices vary according to facilities. We can then work out a quote for your group. I’ll be delighted to welcome you during the Easter holidays. Could you clarify the dates you want, please? For a customised quotation and any questions, please email info@chaletmariestuart.com with your preferred dates. Chalet Grande Etoile is a traditional classic chalet situated in the main street of the old town in Alpe d'Huez. The open-plan living and dining area has a comfortable, cosy, home-from-home feel. The superb central location of the chalet means that you are close to the shops, restaurants and bars plus the three main lift systems within two minutes walk. The chalet has been finished with alpine furnishings with a modern twist, a style which continues in all of the en suite bedrooms. The wellness area is a superb spot to relax in after a great day on the mountain, and don’t forget to relax on the balcony which, along with some of the bedrooms, enjoys superb views of the valley. With storage for your ski equipment and heated boot dryers, Chalets Grande Etoile is a popular choice and early booking is recommended. 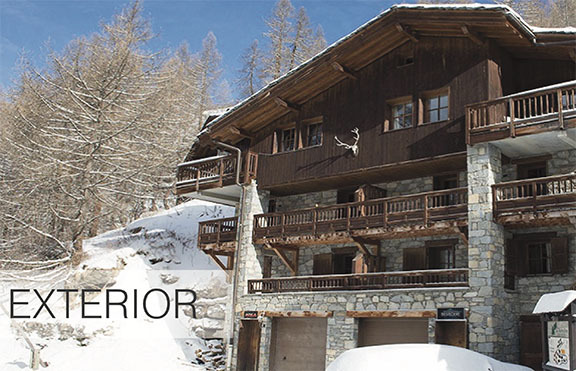 Chalet Grande Etoile is situated in the same building as Chalet Petite Etoile. Both chalets can be taken by a group of up to 20 but each group can only dine in their individual chalets. Catering service including Breakfast, Afternoon Tea and a 3 course evening meal with complimentary fine wines . Ski Hire can be booked directly through us. How are you getting on? We have a beautiful chalet available for you if you are still looking? We are based near Morzine in the Portes du Soleil, 55km from Geneva. We ask for 5400€ (c.£4665) for the whole chalet and can sleep up to 12 in 5 bedrooms. Transfers will be a maximum of 30€ per person each way. -	A warm welcome with glowing log fire, champagne and canapés. -	In the evening you will be served a beautiful 4 course evening meal with wine and beer available throughout. -	We transport your group to and from your choice of ski lifts each day and have a sauna and outdoor hot tub for your private use. I'd love to send you our full details and have a chat about your specific requirements. Please drop us a message with your details and I will be in touch asap. We would be delighted to welcome you to Meribel and Chalet Everest. 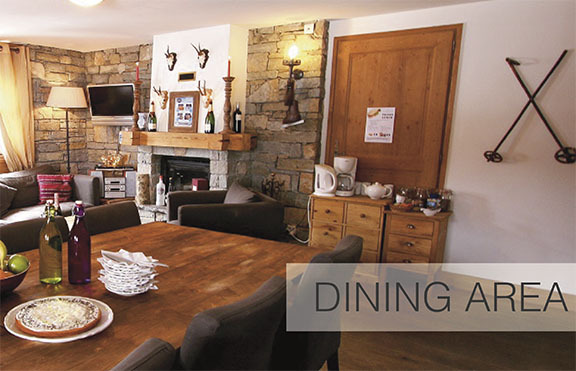 Chalet Everest is fantastic fully catered chalet, comfortably accommodating up to 15 guests. Conveniently located just 5 minute walk from the centre of Meribel with its many shops, restaurants and bars. •	6 spacious en-suite bedrooms (4 x twin/double, 1 x triple & 1 x quad rooms). •	2 Living rooms with comfy sofas, WiFi, LCD TV with Sky, DVD’s, Games consoles, stereo with docking station. •	Large ski room with boot warmers for your comfort. 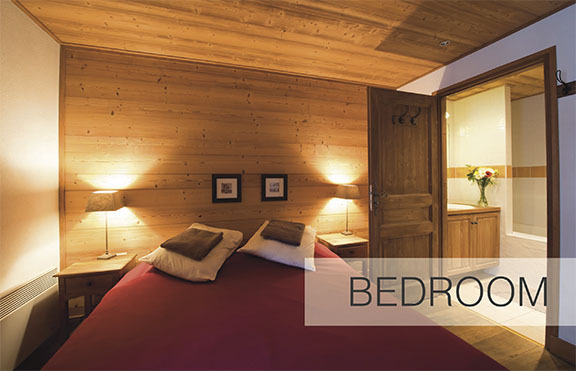 We have availability at Chalet Madosa: a lovely 6 bedroom chalet in the heart of Morzine. The chalet enjoys a great location within walking distance of the main ski lifts, with numerous great bars, restaurants, shops and amenities nearby. The high altitude skiing around Avoriaz and beyond is easily accessible from the chalet. Have a look at our website www.alpine-adventure.co.uk for further details on the chalet (it is not listed here yet as it is a new property). We have availability and can offer you a great deal fully catered, unlimited drinks anytime with the option to ski up to 7 different high altitude resorts during your stay. All high Altitude with glacier skiing so guaranteed skiing especially early and late season. Amazing 4 Course Evening meal with Cheese Board, homemade cakes and biscuits. High Altitude Skiing so guaranteed snow & skiing..important early and late season. Paradiski (Les Arcs/La Plagne) only a 5 min drive away, other Resorts close by. Local knowledge on Cheap Lift Passes/ Ski School/ Lessons etc. With six comfortable bedrooms, relaxing lounge and separate dining area, our Chalet Chabirusse is a beautiful traditional wooden chalet, and is perfect for groups of up to 13 people. Chalet Chabirusse has a homely log fire to relax in front of too. Offered self-catered or half board, you can select the best package for your holiday. If catered, we offer a hot / cold buffet breakfast, afternoon tea and freshly baked cakes. Our chefs will create an excellent 4 course dinner, served with quality wines. Our staff are exceptionally trained, and live out. 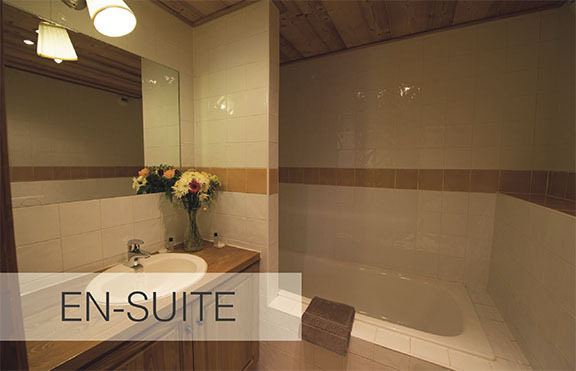 We have availability for you in Chalet Darbon, our beautiful 5 bedroom catered chalet in the heart of Morzine. The price for 6th to 13th April 2019 would be £5699 for sole occupancy. It sleeps up to 12 people very comfortably as two of the rooms have extra beds. We have a lovely catered chalet located in the picturesque resort of Haute-Nendaz a GREAT SNOW SURE resort in the heart of the 4 Valleys (Verbier) ski area, available for your dates for 12 people. Both my ski in/out catered chalets at Les Arcs are available for w/b 6th or 13th April 2019. YOu can ski to the door/lifts 150m. 12/14 beds in 6 ensuite rooms, hot-tub, sauna, wifi, 2 lounge areas with TV/DVD, log-fire, minibar etc. Chalet Belvedere, in Tignes les Brévières, Espace Killy, is available for your dates for 12 people. 7 nights’ catered accommodation at €799 euros per person (just £699 at today's exchange rate). Chalet Belvedere sleeps 13 and is a stylish alpine chalet with spectacular views over the mountain. Just a 1 minute walk from the nearest lift, Chalet Belvedere has a large, open-plan lounge and dining area with log fire, UK TV, DVD player and games console. All bedrooms are ensuite (with a bath) and many have balcony access. There are a mix of double and twin rooms as well as a large triple room available. · Beautiful alpine chalet in Tignes with open fire. · Large open-plan lounge and dining area. · For full-chalet bookings, the 13th place is FREE. Or our stylish/modernly decorated self catered Pinewood apartments (12 person apartment) for £249pp not including transfers. We can also arrange your lift passes, hire and lessons if you require. HENCE your price would be £515 (£465 for children). * 1 hour 30 minutes for Grenoble airport.